During my last couple of visits to India this year, it’s really been an eye-opener to just how harsh some of the living conditions are. 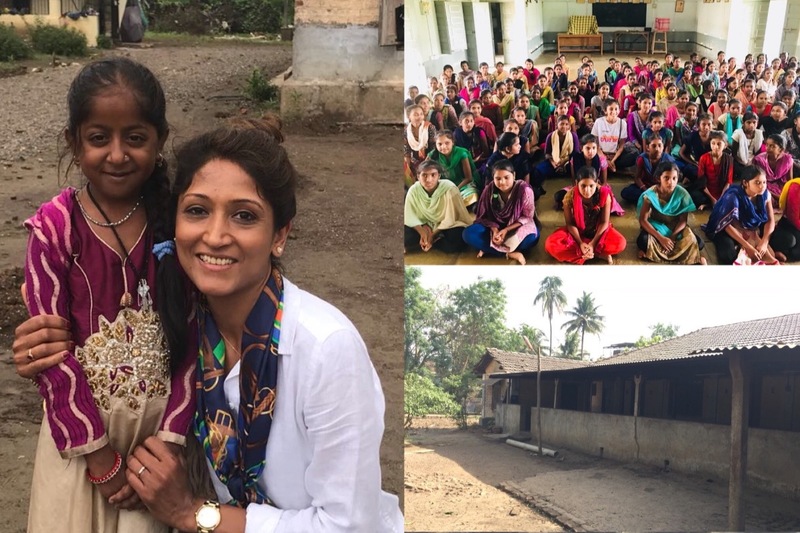 I was lucky enough to visit 2 Ashrams for orphaned and underprivileged girls and it brought me to tears.These girls come from slum equivalent areas in the forest, where they still have an outdated style of thinking that girls should not study. 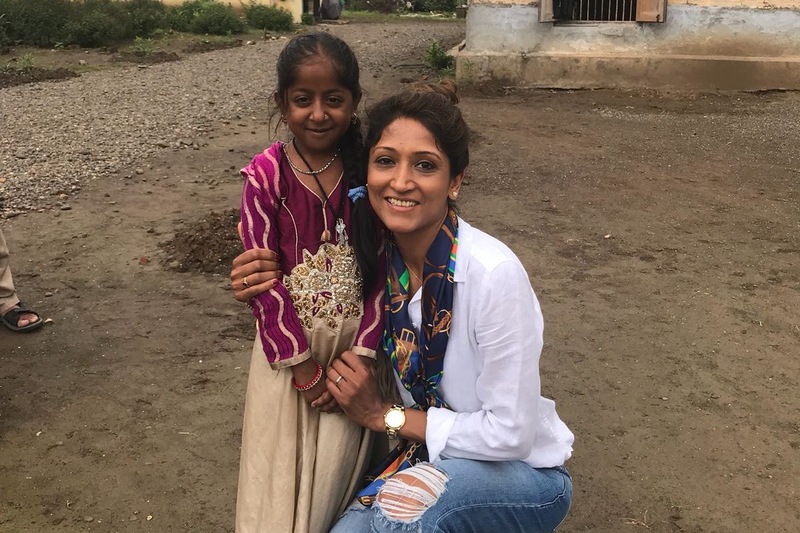 Education is also not readily available to those who cannot afford it, and so this combined effect leaves little chance for these girls to obtain even a basic education.However, feeling sorry for them wasn’t going to be much help - something had to be done! The Ashrams are trying there best to meet the needs of these girls, with 1 Ashram having 200 girls, however the funding is really being stretched and so choices have to be made; such as between feeding the girls or saving to fix the roof under which they sleep to keep them from falling ill from the rainwater pouring through during the night, which then leads to medical needs. It’s all a cascade, which some of us may not even need to think about, but these girls live it every day. in an agricultural area. 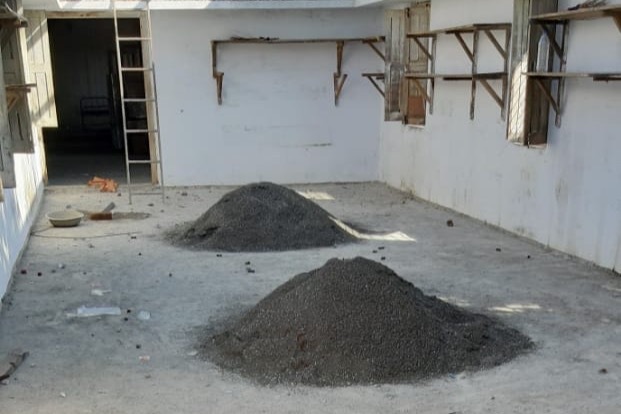 So, we plan on building a further 5 toilets and showers but this time in an extension from their sleeping quarters so they need not leave the building. Then the leaking roof, which was the most commonly raised issue from the girls themselves. 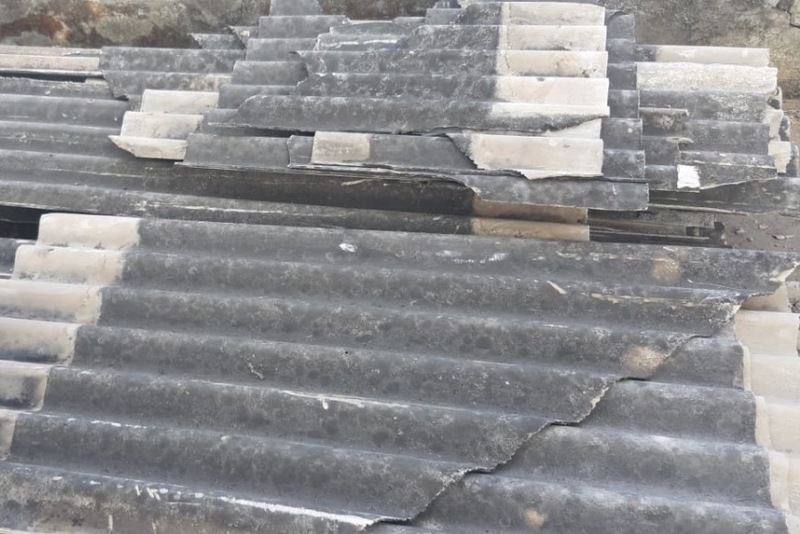 The existing roof is over 100 years old hence cannot be repaired, but with your help we can build a new, sturdy and weather proof one. And lastly the floor on which they sleep; thanks to you guys we managed to renovate the first floor (for which the girls were so very grateful!) but the upper floor still needs doing, as now they alternate as to which girls sleep on the newly done floor. I spoke to some of these girls and if anything they gave me belief and strength. Upon being asked, the girls said they wanted to be nurses to help families like there’s get the correct, much needed healthcare. The head girl said she wanted to become a police officer to, even on the smallest scale, prevent corruption in her local area, and some girls even lawyers to help fight for women empowerment. The awareness of such ashrams is increasing at a rate they cannot cope with, so please if there’s even the smallest contribution you can make to help these girls really realise and reach their full potential, they would appreciate it more than you know. With this donation you will help the new generations of girls grow up with a healthy upbringing, and live on to have a wonderful future – all thanks to your help. Meet Naina, who is only 14 years old but living independently at the Ashram. She has dreams of being a nurse one day which you can help make true. P.S - this project is handled by myself and a very close friend of mine who is and has been supporting many other charities in UK and India for many years. If you would like further details as to the logistics of the project please don't hesitate in contacting me and of course you will see photo evidence of your kind contributions once the work is completed - and if possible it would be great for any of you to visit the Ashram to have a look for yourself! Thank you all very much for all the wonderful donations! I would like to update you all on the progress we have made with the donations you have made. 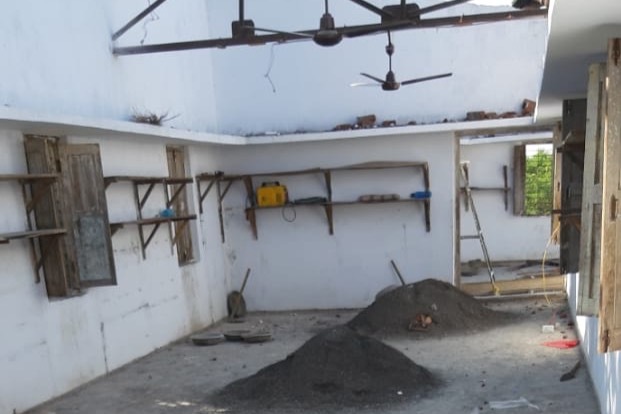 Work has been started on the ashram - the floor has been stripped and is getting prepared for reflooring, and the roof is being replaced as well. 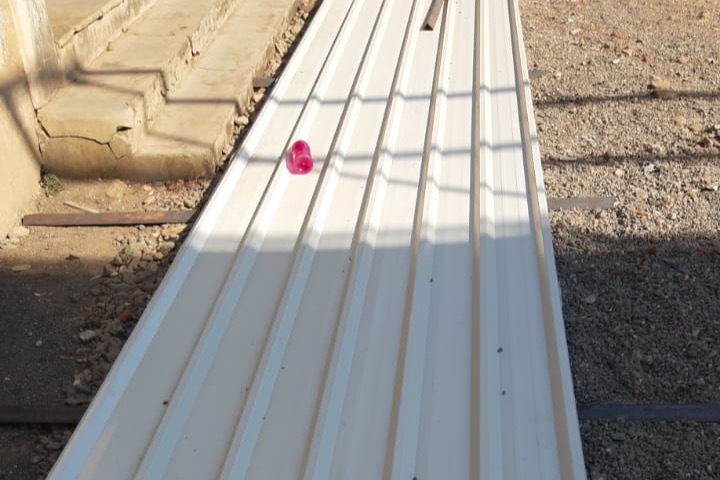 So by the end of January the girls will have even flooring and a sturdy roof (which doesnt leak!) which will make the building more safe and secure. The girls are so so grateful for all the donations you have made! You really are changing their lives. Another shout out to those who attended the yoga workshop I hope you all had a great time, and it's only with your donations that all of this is happening. Another big thank you to the Shree Vishwakarma Association of UK and LPSoL for generously donating their proceedings to the Ashram they were warmed by your positive karma! 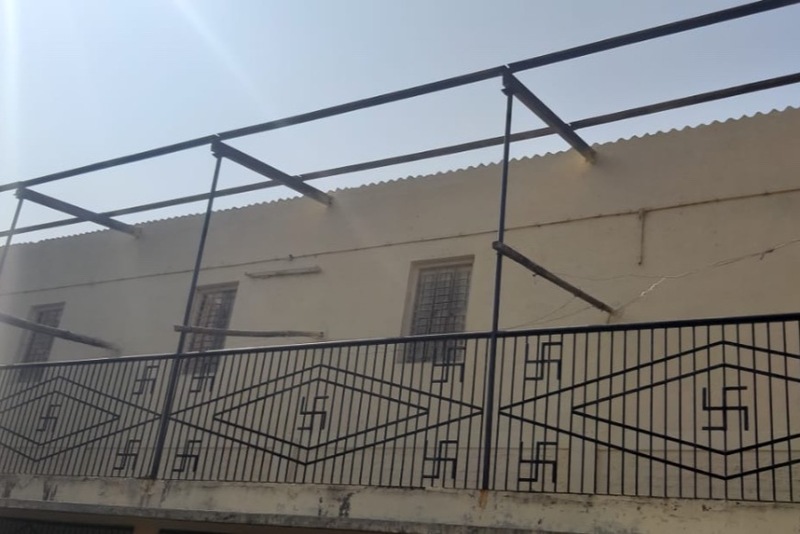 I've attached some pictures of the progress to keep you guys updated (GoFundMe will not let me upload the full picture so if you want to see more let me know). If you would like any more information please do not hesitate in contacting me. I've taken pictures of the old and new roofing! Thank you all for showing interest in the campaign! Just to shed some light on some of the comments - yes the girls study and live there too. 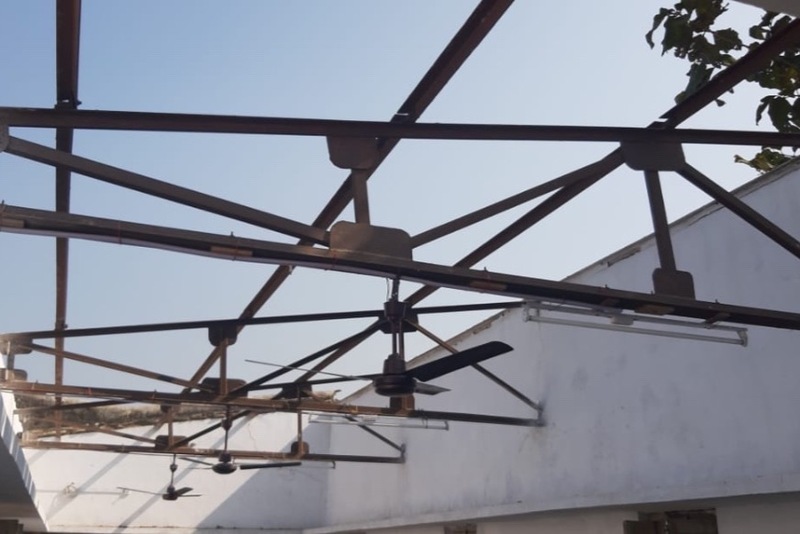 The Ashram is only a 20 minute drive from Bardoli, and I myself will assure that the work is of a good quality and will be looking over it myself! Thanks again for donating to help build the future of these girls and please share with anyone who may be interested.